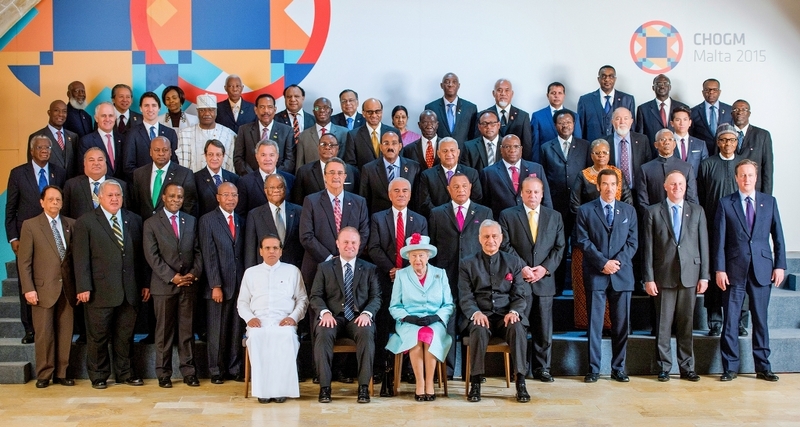 President Maithripala Sirisena said he is fully satisfied with the accomplishment of goals set at the last Commonwealth Heads of Government Meeting (CHOGM) in Colombo and during the period of the last two years, when Sri Lanka was the Chair in Office of the Commonwealth. Addressing the Commonwealth Heads of Government Meeting in Malta yesterday, on November 27, the President said that there was progress made in areas such as poverty eradication, promotion of trade, sustainable development, involvement of youth in development activities, growth, equality and dignity of the citizens. The President said that he was extremely happy that the Queen attended the Summit and praised her great leadership. The President pointed out the issues such as sustainability development greatly emphasized during the CHOGM in Colombo in 2013, have been raised subsequently in the United Nations and the President highlighted that what is important is common values and not the power of wealth. He emphasized the imperative need to achieve growth, equality and dignity for the people and emphasized the need for greater protection of the environment. Referring to the Kotte Statement issued during the CHOGM 2013 in Colombo, he categorically stated the need to enhance trade initiatives to expand private sector engagement in trade and economic activity. President Sirisena praised the work of the outgoing Secretary General Kamalesh Sharma and thanked him for the excellent support and cooperation extended to him as Chair in Office. He offered best wishes to the Chair in Office, Malta Premier Joseph Muscat. I am very pleased for this opportunity to address you as the out-going Chairman of the Commonwealth. I am extremely happy for the participation of Her Majesty the Queen Elizabeth, whom we all acknowledge as the Head of the Commonwealth and a great leader for us in the Commonwealth. Sri Lanka is a founding member of the Commonwealth, and we are very pleased about its growth over the past few years. The influence of the Commonwealth has helped to guide the political and social behavior of all our members. The common values we share bind us together, and, not the power or the wealth of the member States. Two years ago when we met in Sri Lanka we agreed that achieving growth with equity and inclusivity must be the main concerns of the Commonwealth. We also noted that promoting Sustainable Development will require intensified efforts both nationally and internationally. I am further pleased to note that the United Nations also has given priority to Sustainable Development Goals, meaning, integrating our efforts with the United Nations. We recognized that young people today are the foundation for a prosperous tomorrow. Therefore we conveyed our abiding interest in our younger generation by adopting the Magampura Declaration of Commitment to Young People. We welcomed the establishment of the Commonwealth Youth Council and Sri Lanka was pleased to host the first Commonwealth Youth Council Meeting. The Commonwealth is the home to a population of over two billion people. A majority of them live in developing, and least developed member countries. Uplifting their living standards should be our short term goal, medium term goal and long term goal. We recognize that trade and investment play an important role in employment generation, poverty reduction and advancing economic prosperity. Support for value addition industries, instead of raw material sales by our countries, should receive greater attention. The Kotte Statement that we issued at the Colombo Summit reiterated our commitment to promote Commonwealth investment flows and private sector engagements. This is the demand from our developing country friends and their economies. As the outgoing Chair we are satisfied when we look back on the work that has been accomplished during the past two years. I thank all Commonwealth Heads of Government for their support and help during my term as the Chair in Office. We gratefully acknowledge the contribution made by Secretary General Honorable Kamalesh Sharma and the support he and his staff extended to the Commonwealth, personally to me, my Government and the people of Sri Lanka. Finally, I congratulate Malta as our host and as the Commonwealth Chair in Office for next two years. I convey my heartfelt best wishes to the Honourable Prime Minister and the friendly people of Malta, and thank them for the excellent arrangements made for our ongoing meeting.